The Battery Doctor website applies a standard freight charge on most orders of $15.00 AUD including GST per delivery, regardless of quantity ordered. 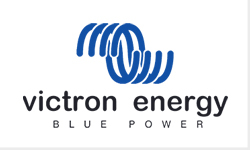 Heavy items such as Sealed Lead Acid (SLA) batteries are an exception to this ....extra freight charges may apply due to weight, transport method and delivery location. We will calculate this and notify you of any extra freight charge after your order is placed. This extra freight charge is at cost- meaning we seek to make no profit on freight. Please feel free to contact us for a quote on freight prior to ordering. The AGM Super Cycle batteries are the result of recent battery electrochemistry developments. The paste of the positive plates is less sensitive to softening, even in case of repeated 100% discharge of the battery, and new additives to the electrolyte reduce sulfation in case of deep discharge. Tests have shown that the Super Cycle battery does withstand at least three hundred 100% DoD cycles. The tests consist of a daily discharge to 10,8V with I = 0,2C₂₀, followed by approximately two hours rest in discharged condition, and then a recharge with I = 0,2C₂₀. The two hours rest period in discharged condition will damage most batteries within 100 cycles, but not the Super Cycle attery. We recommend the Super Cycle battery for applications where an occasional discharge to 100% DoD, or frequent discharge to 60-80% DoD is expected. 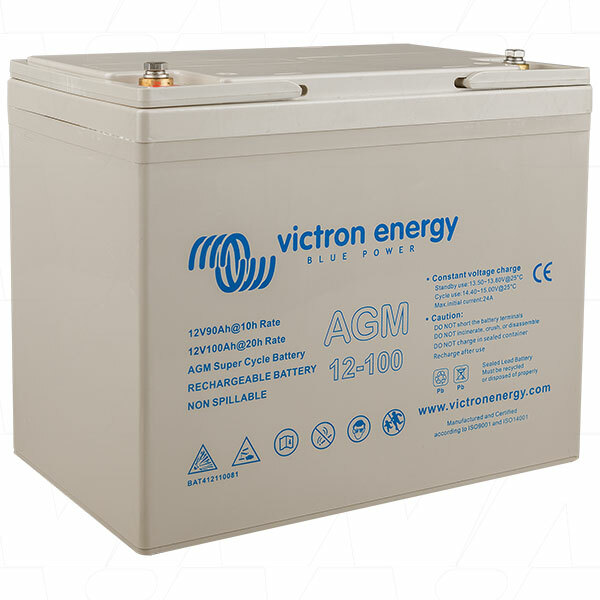 An additional advantage of the new chemistry is a slightly smaller size and less weight compared to our standard deep cycle AGM batteries. This product's casing/housing is classed UL94-V0. In simple terms, this means that the casing/housing is considered flame retardant in accordance with the plastics flammability standard.